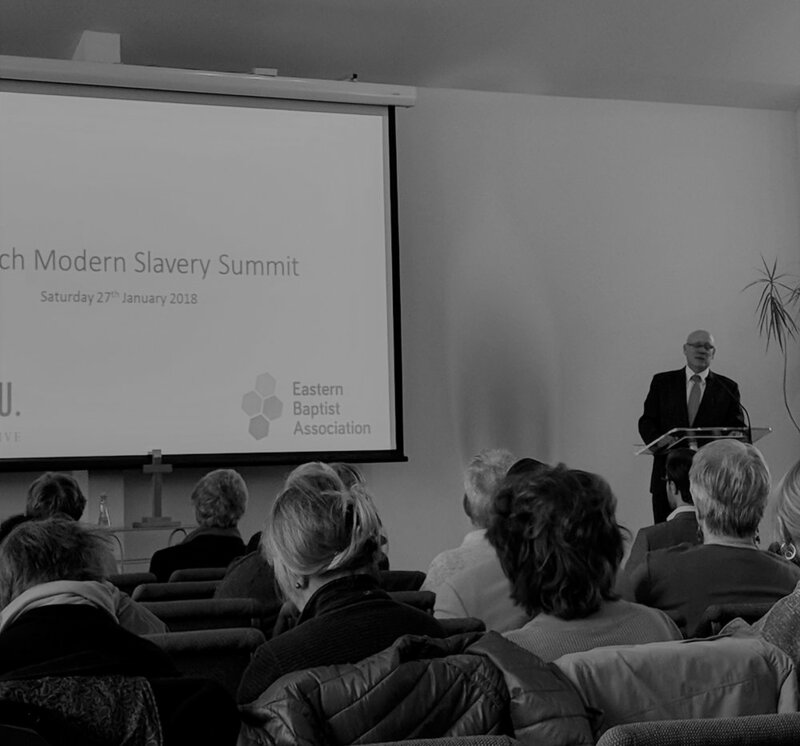 Saturday 27th January saw the first of three Modern Slavery Summits we are hosting in East Anglia in partnership with the Eastern Baptists Association. At Witard Road Baptist Church in Norwich we gathered community members and faith groups to hear about what modern slavery is, and what it looks like in Norfolk. Our first speaker was our co-organiser Revd Dan Pratt, the Anti-Slavery Co-ordinator for the Eastern Baptists Association. 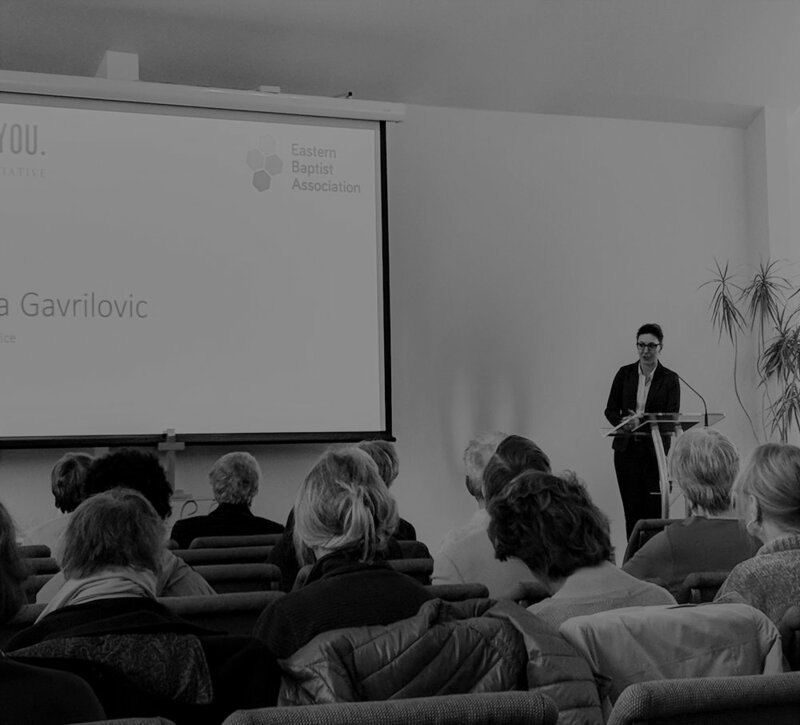 He spoke about why faith groups should be involved in tackling modern slavery in their area, saying that churches could make a “substantial difference” because of the reach they have within communities, running toddler groups, food banks, and all manner of other initiatives. Mark English, the Human Trafficking and Organised Crime Co-ordinator for Norfolk and Suffolk Police was next up. His experience of investigating modern slavery and training police officers to spot the signs meant that he was able to give an eye-opening talk, sharing details of cases he had personally worked on in Norfolk. He spoke about the different kinds of modern slavery that take place in the area: sexual exploitation, labour exploitation, and domestic servitude. The existence of domestic servitude had surprised him, and he shared that whilst giving a training on modern slavery to police control room staff he had said that they had never had a case in the area. The next day they called him to say they had found one. Six months later, another suspected case came through. As these instances show, the importance of training within the police and the community cannot be overestimated. Our next speaker was Frank Hanson from the Gangmasters & Labour Abuse Authority, an organisation that works to prevent labour exploitation. He gave a presentation of the most common signs that someone is being exploited, for example their movements being controlled by someone else or lots of people living in sub-standard accommodation. He said a victim’s lack of language skills can also be used to isolate them, keeping them in their position of slavery more effectively than even chains could as “they don’t know who to ask for help”. Cristina Gavrilovic, the Anti-Slavery Partnership Coordinator for Kent and Essex Police was last to speak. In her role within the police she draws together agencies like the council, the fire service, and community groups, to make sure that they are all working together to end modern slavery. This innovative approach enables her to disrupt the activities of suspected modern slavery perpetrators, for example by asking HMRC to investigate the books of a hand car wash. She also strongly advocates an approach to victim care which includes charities and faith groups as well as statutory authorities, to help people go from being a victim to becoming a survivor. We concluded the day by asking those who had attended to consider what action they could take to help combat modern slavery in Norwich. Suggestions ranged from using a different hand car wash, to making everyone in their church aware of the issue. Reflecting on the day, Revd Dan Pratt said he was encouraged by how the day had gone, and looking forward to the next one. We will be organising a follow up event in Norwich to help people explore these questions further, and we still have two more events to go in East Anglia, the details of which you can find on our Training and Events page. Sign up to our newsletter to be kept informed of everything we’re up to in East Anglia and across the country.